Generally speaking, Leipzig possesses a large variety of green spaces, such as floodplain forest, allotments, parks and water courses. Leipzig is characterised by diverse developments. 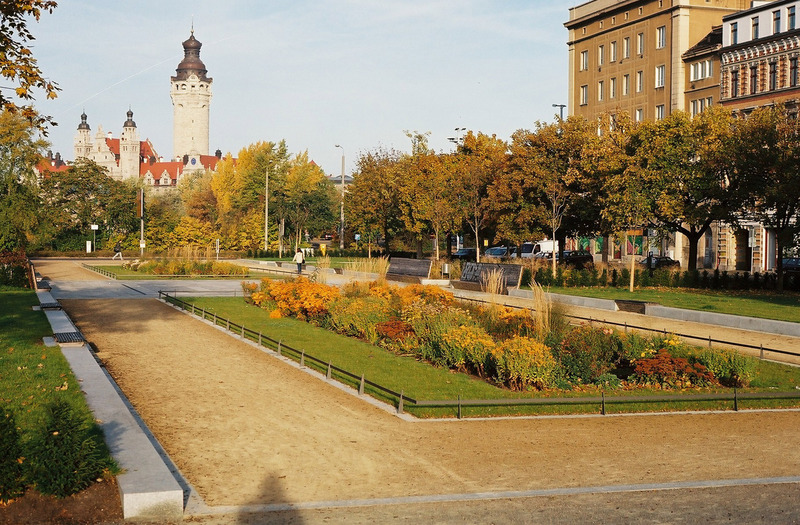 After reunification of Germany in 1990, the city shrank considerably thus producing numerous new green spaces, slowly achieved stagnation and is currently fast growing . Green infrastructure has come under pressure as a result of rapid population growth rates, recompaction, and construction activities. Simulaneously, green spaces are more intensively used by residents, characterised by a so-called "renaissance of urban green". This development causes signs of exhaustion of green spaces and conflicts between residential demand and environmental protection. The City Lab Leipzig, Germany, is located in in a lowland landscape in east Germany. The city covers an area of approx. 297km² and serves as our case study area. The green system of the city consists of 900 ha public green spaces, 2,450 ha forests, 1,230 ha allotments, 1,100 ha water courses, 10,300 ha agricultural area. The built area comprises approx. 5,470 ha paved surface, and approx. 1,900 ha buildings. In terms of socio-economic conditions, one can observe ongoing socio-spatial differentiation. This socio-economic development is also mirrored in the spatial effect that poorer households and social groups have less access to green spaces. Knowledge gain by very detailed mapping of urban green infrastructure and built structures of the city. Thus establishing a mapping tool at very fine scale (ground resolution of 60 cm) to derive different GI parameters. Recording urban tree cover. Quantification of land-use structure to undertake assessments based on indicators at municipal and urban scales. Detecting supply deficits of GI at local scale. In terms of governance, the aim is to investigate planning strategies and instruments which should protect GI and ecosystem services. The focus of the analysis of the political and planning framework is the instrument of the so-called "double interior development". This instrument is supposed to be implemented to steer recompaction in a sustainable way. 1. in terms of methodological design of the mapping tool, the detailed classification structure can be transferred to any other European city. 2. mapping is the baseline to quantify indicators and undertake intraurban assessments, and allow comparisons with other EnRoute city labs. 3. concerning the governance analysis, the approach is transferrable within the EU, but results are only applicable if planning institutions exist.